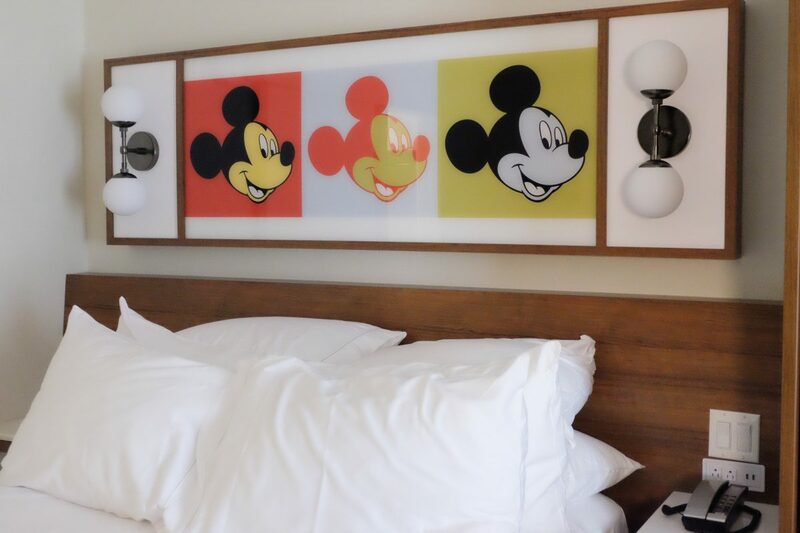 We’ve talked before about Pop Century being our favorite Value Resort, so when we decided to go back for our fall trip, we were very excited to see the new renovated rooms. 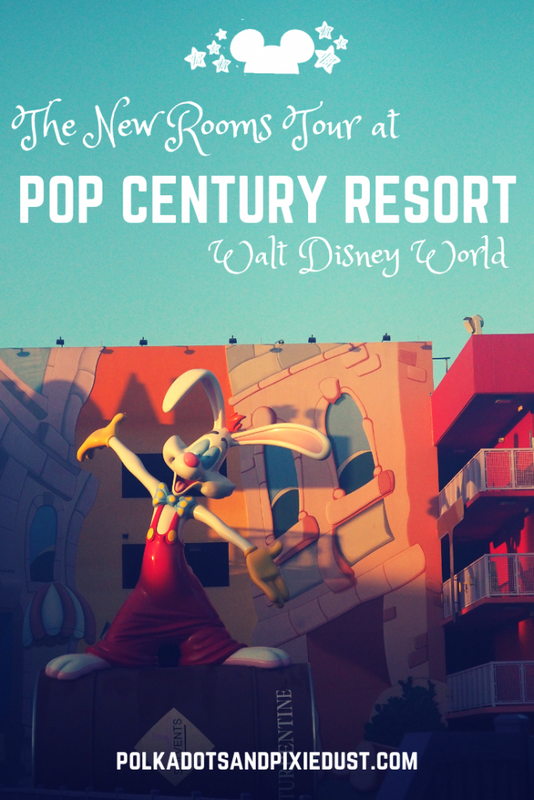 We wanted to update you on the new rooms at Pop Centuryso you know what to expect at your next visit! After our last stay, we still favor Pop Century over the other Value resorts. And just for reference, we do not include Art Of Animation in this category, so if you’re curious about our thoughts on that resort, feel free to check out the post we did about Art of Animation here. 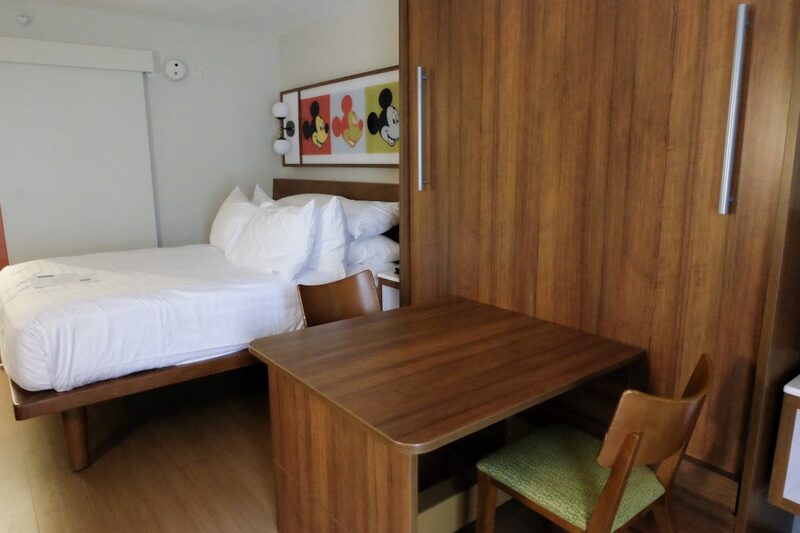 So what’s new about the renovated rooms at Pop Century. 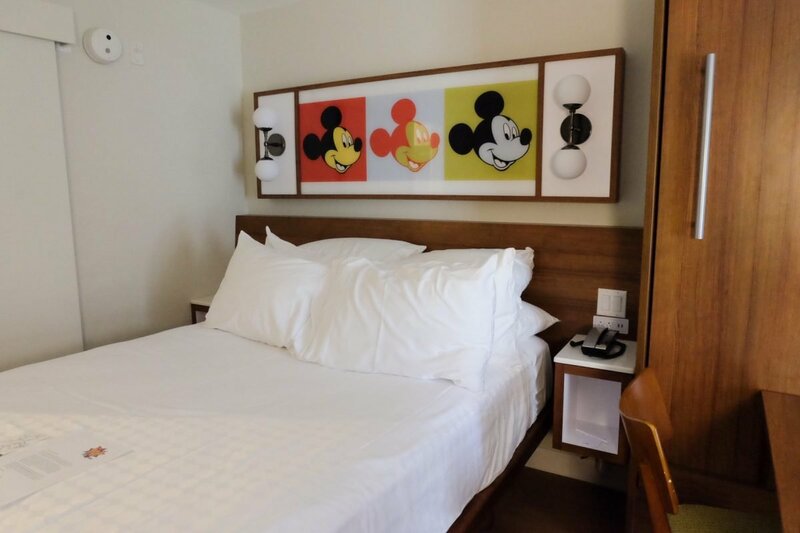 Well if you saw our Coronado Springs stay, then you’ll be familiar with the style of rooms that are currently being updated at Walt Disney World. There is no carpeting, the beds are raised with plenty of underneath storage and overall it’s a very clean, streamlined look. Very on trend and to be honest, probably a lot easier for them to keep clean as well. 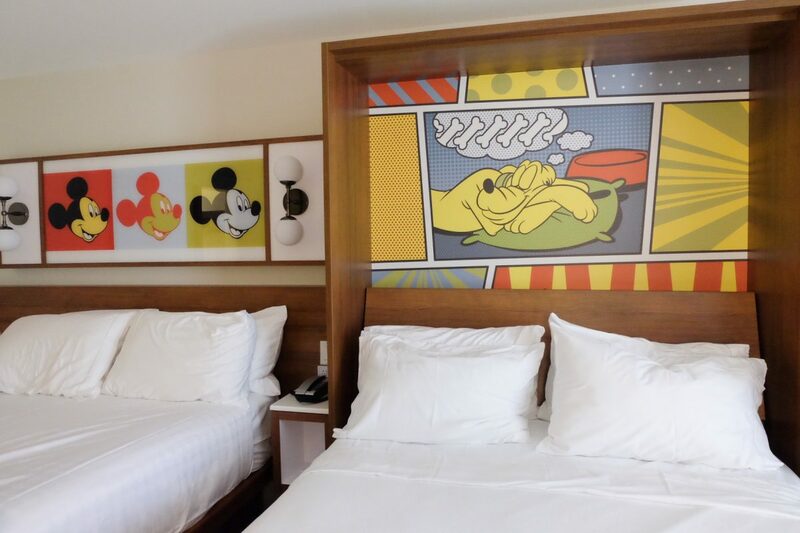 The Pop Century rooms, however, only have one permanent bed fixture and by this, I mean that one of the beds is a pull-down bed. We did not do our research before our last stay and were a bit alarmed to see there was only one bed. Whoops. Hakuna matata, there really are two beds. 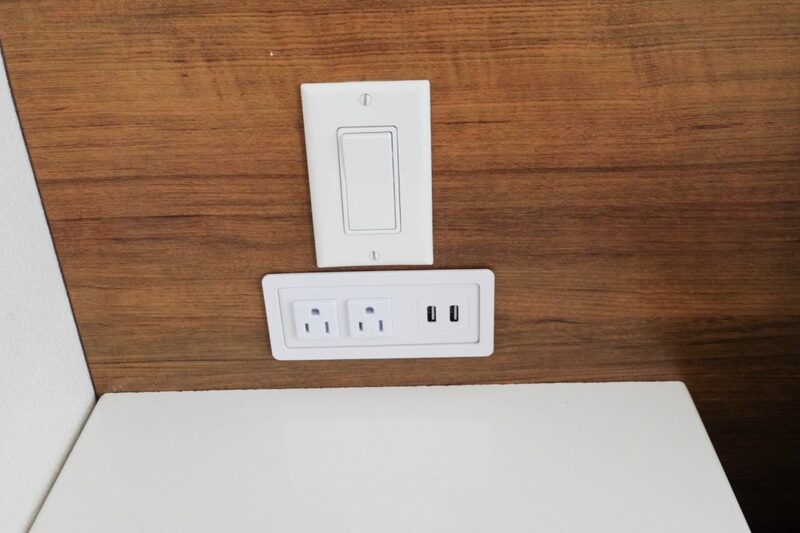 One of them just easily fits into the wall so you can have more space during your stay. We didn’t find the pull-down bed to be any less comfortable, so you don’t have to worry about fighting over who gets the more comfortable bed. The decor is simple but cute. 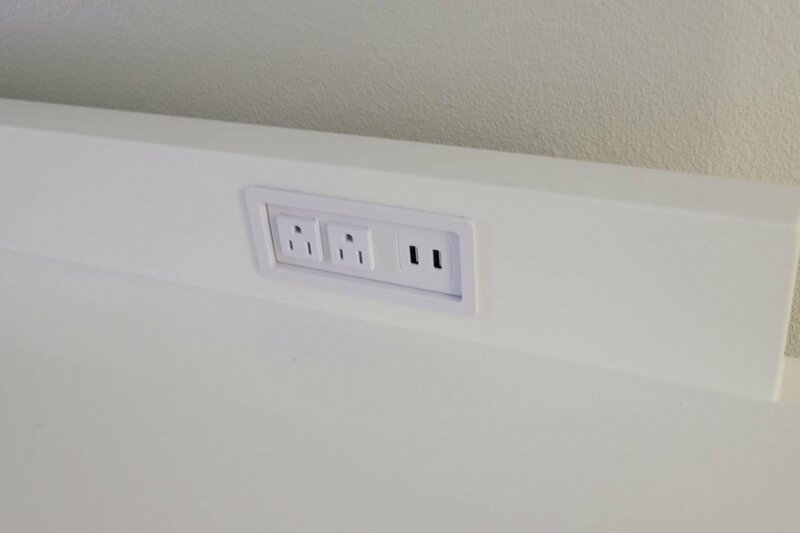 The biggest thing we loved about the new rooms at Pop Century is that they have so many outlets and USB ports now that we never found ourselves without somewhere to charge our phones, laptops or cameras. 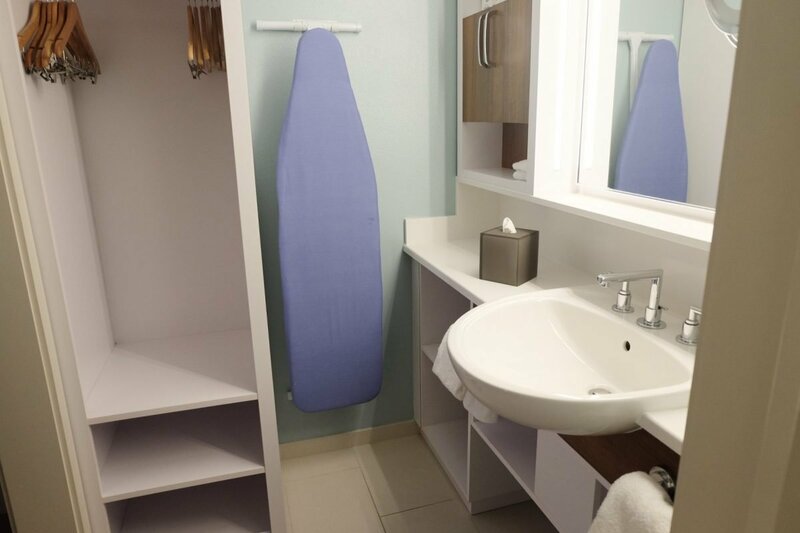 The vanity is a bit small and there is no secondary mirror in the room. So as three girls traveling together, we had to be very strategic about getting ready in the morning. My daughter and I are used to sharing a mirror every morning but my sister ended up getting up a little earlier. It worked, but could be a challenge so we wanted to point it out. 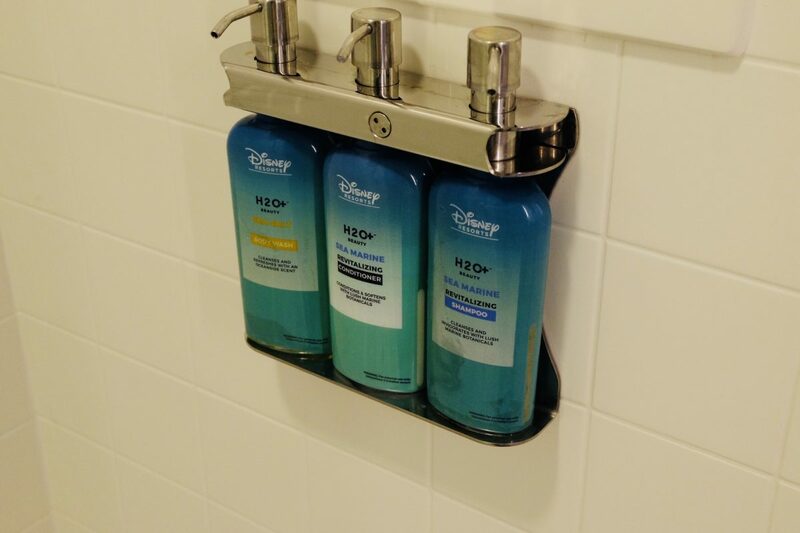 We also are huge fans of the new built-in toiletries that are popping up in the resorts so we were happy to see these were part of the new rooms at Pop Century! 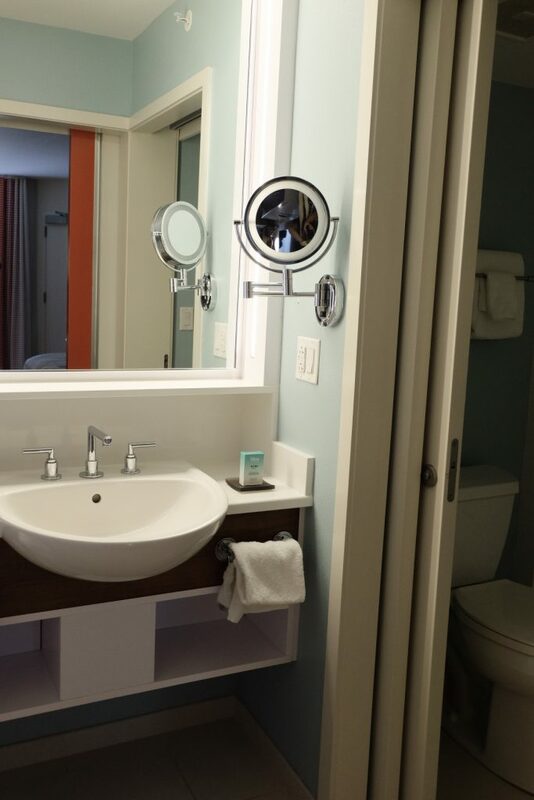 All around Walt Disney World is upping their Value Resort game. 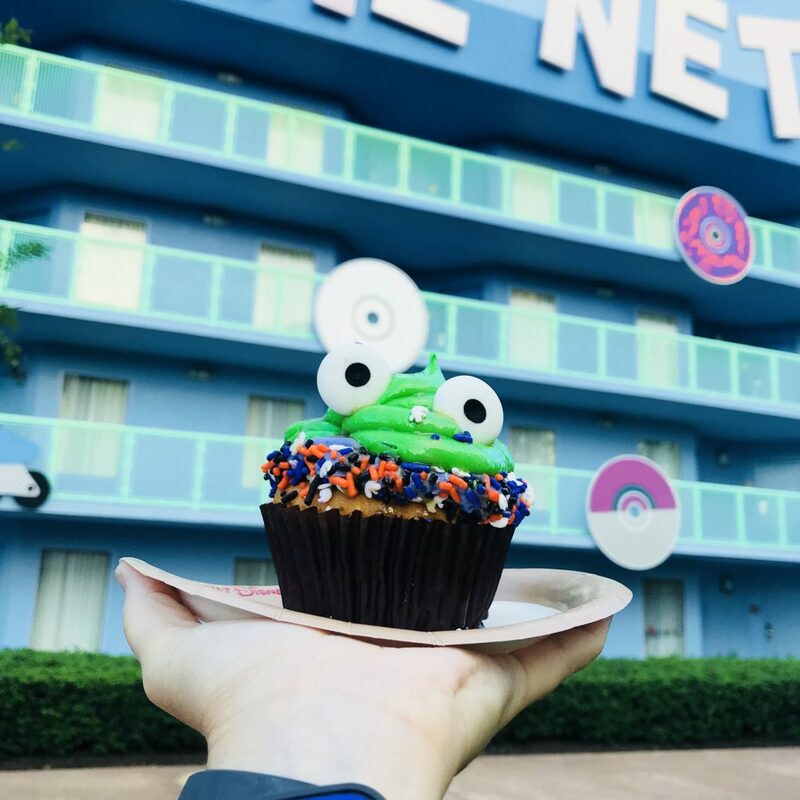 We noticed that even the treats at Pop Century were cuter! 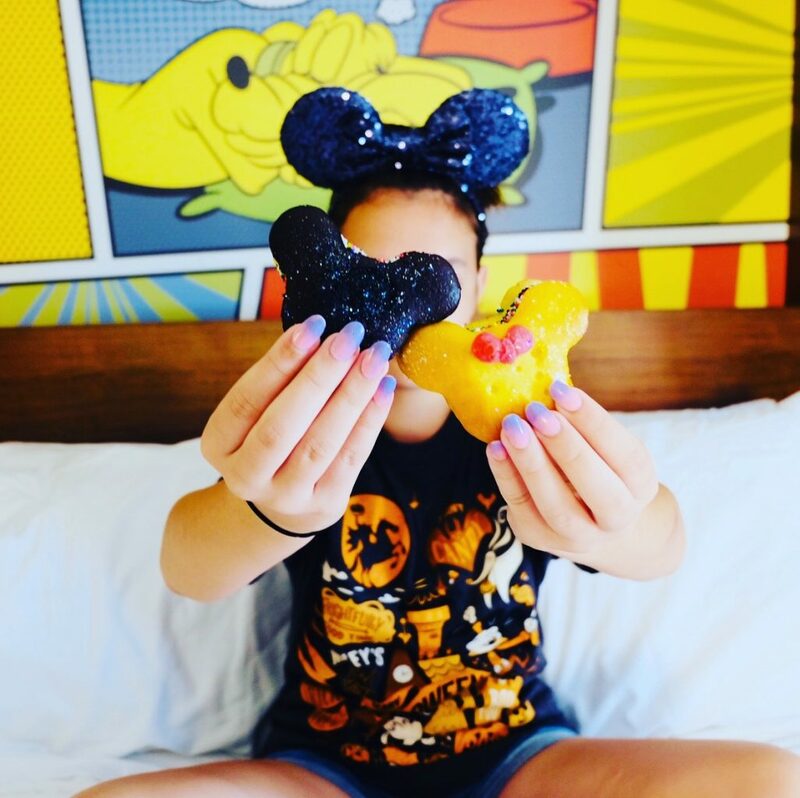 So if you’re looking for a great deal on a resort room at Walt Disney World, Pop Century is still our favorite. Have you been to Pop Century lately? We’d love to know your opinions on the new rooms! Or if you have a different value resort you prefer, we’d love to hear about it!